For almost 20 years, I have made Windsor chairs and taught chairmaking in my workshop "Windsor Heritage" in Stanbridge East, QC Canada. In most of Europe before the French revolution, chairs were reserved for nobility. The revolution introduced the idea that anyone could own a chair, and the idea spread rapidly throughout Europe. We do not know who invented the Windsor chair. One tale is that a farmer, who lived near the town of Windsor in England during the late 16th or early 17th century, decided to add a back to a stool, thereby creating the first “Windsor chair". This concept revolutionized chair-making. The chair-maker could now modify the angle of the back independently of the legs to suit the customer. 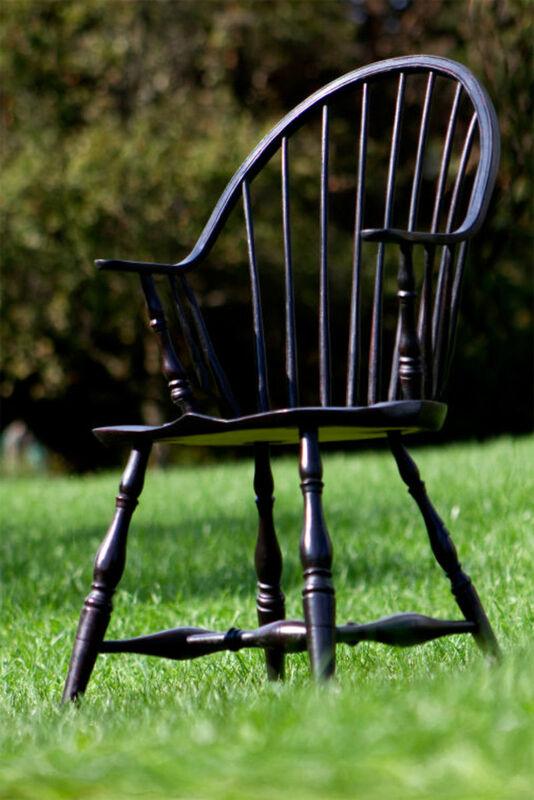 This, coupled with the deeply sculpted seat, is what makes the Windsor chair so comfortable. The design was adopted and exported to North America. In a relatively short time-frame, a range of styles were developed throughout New England and Upper and Lower Canada. Chair-makers often had their own signature designs, and the tradition was often passed down one generation to the next. 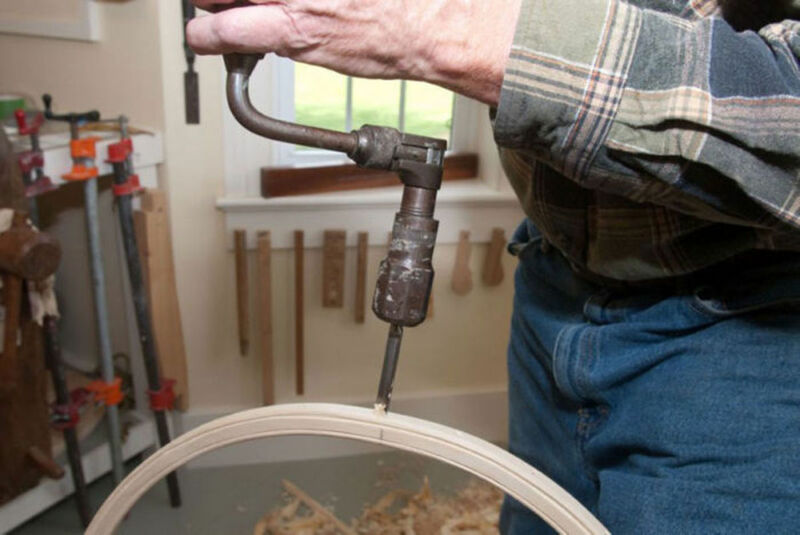 This article will break down the entire process that is used to make a Windsor chair by hand. 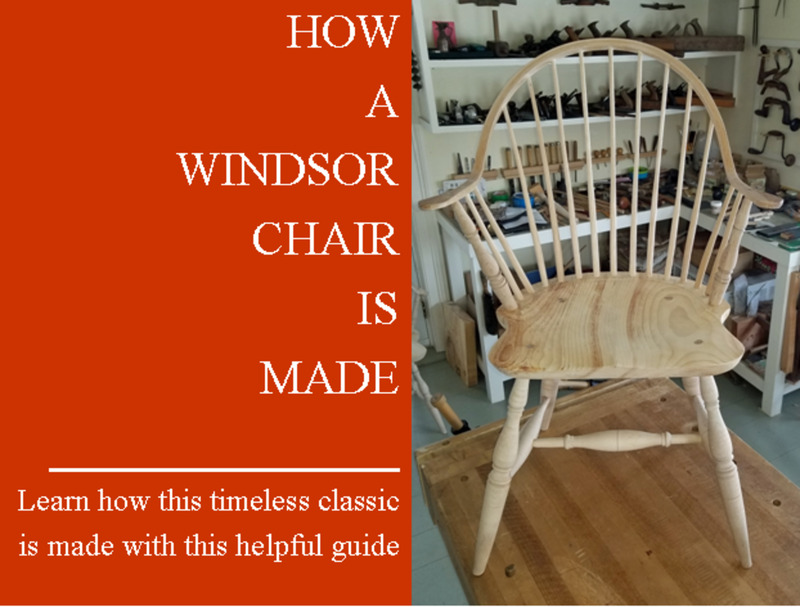 Here's a quick summary of the main steps involved in making a Windsor chair. 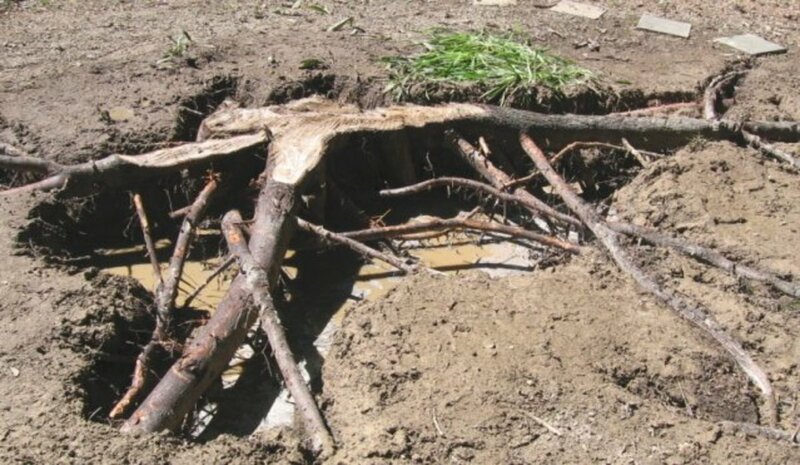 Wood is split for the legs and back parts. 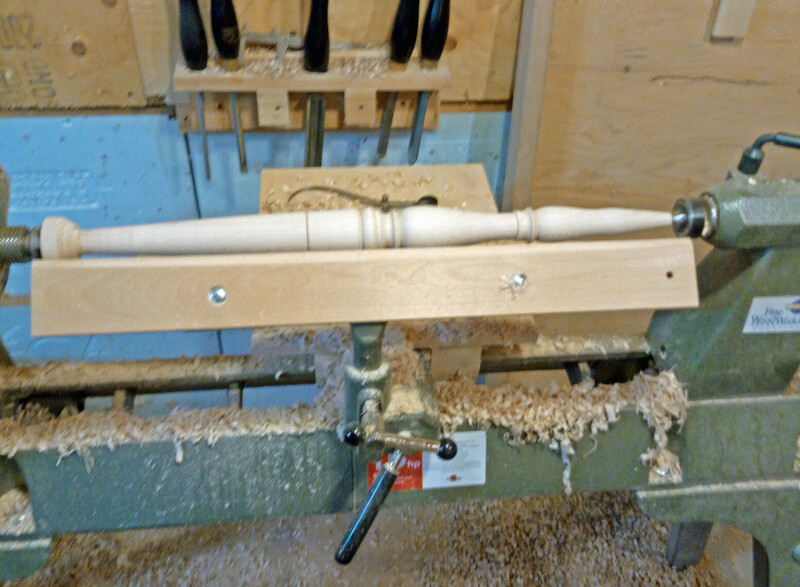 Legs and stretchers are turned on a lathe. 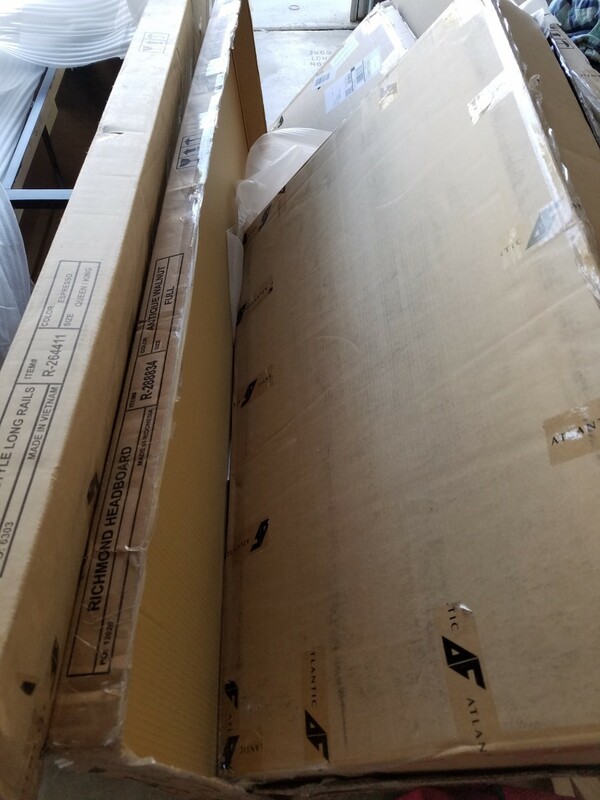 Parts of the back are made. The chair seat blank is made and carved. Legs and stretchers are added to the seat. The chair arm and spindles are attached. Scraping, sanding and applying the finish. Always wear safety glasses when working with wood. The tools used in chair-making are razor sharp. It is critical to be aware of this and have appropriate first aid kits available for cuts and splinters. 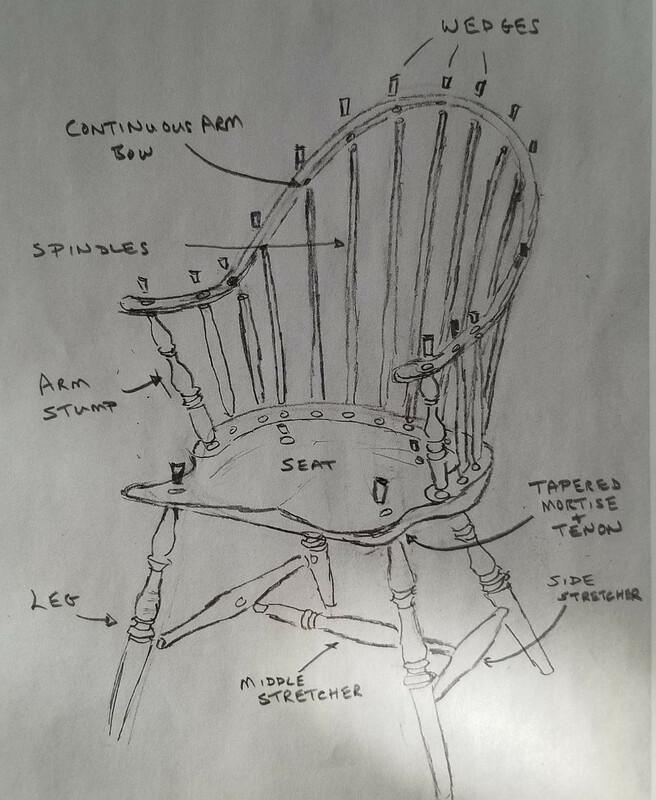 This graphic breaks down all of the parts of the Windsor chair. The legs, spindles, arm stumps and components of the back are made with wood that is split or “rived” by hand so that the grain is continuous down the length of the riving. This ensures the components of the back are flexible and easily bent without breaking and that the legs, stretchers and arm stumps are as strong as they can possibly be. A) The legs and stretchers are made from 2” x 2” x 22” and the arm stumps from 1¼” x 1¼” x 12” turning blanks. 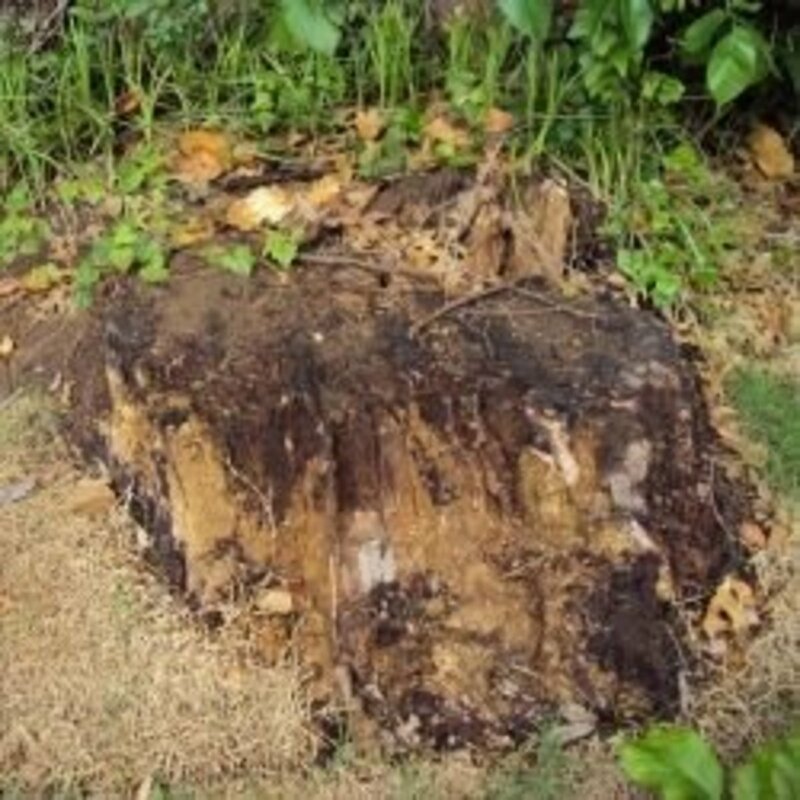 These are usually split out from green sugar maple, which is allowed to partly dry before using them to reduce shrinkage. B) The continuous arm blank is made from a 2” x 2” x 56” red oak blank split from a 60” log. 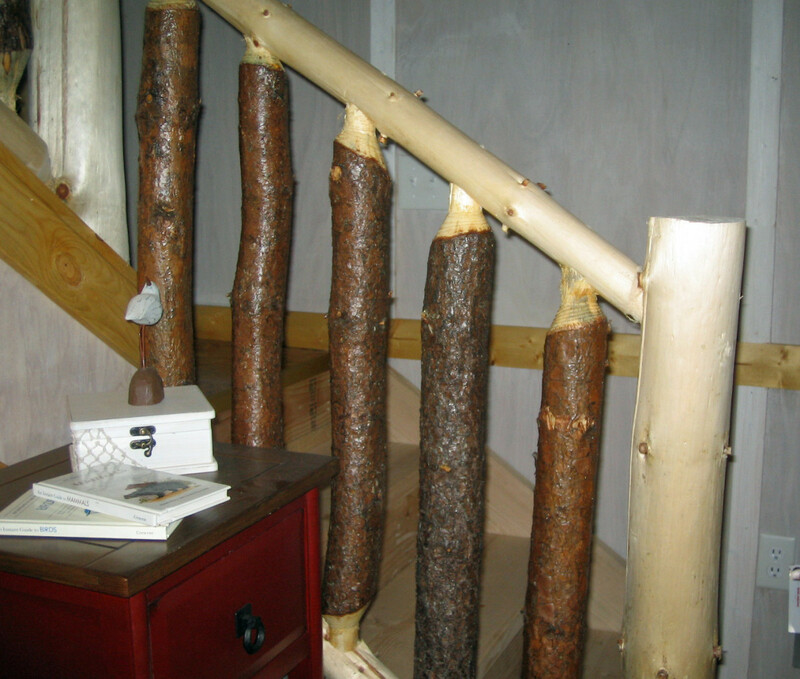 C) The spindles are made from ¾” x 24” red oak blanks. 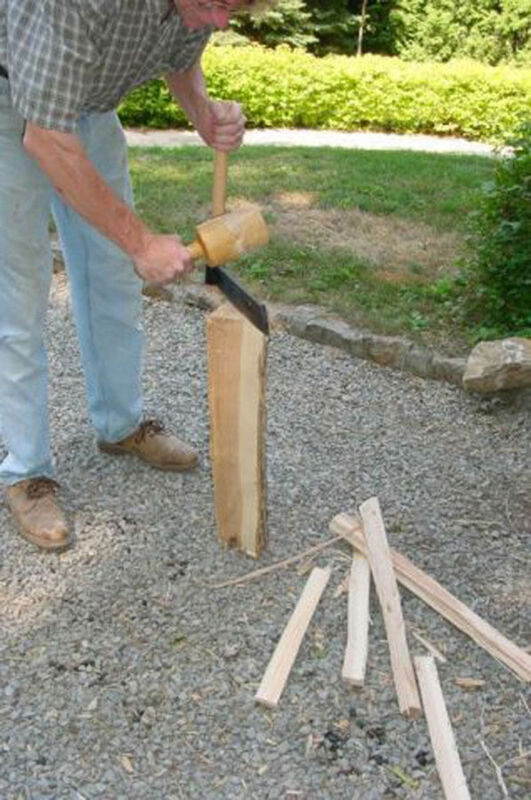 As the arm blanks are split out of the log, sections are recovered from the process to make the spindle blanks such that little wood is wasted. Riving spindle blanks for the chair back. There are many styles of Windsor chair leg turnings, the most common of which are the bamboo and Philadelphia style. The author often makes plain tapered legs, stretchers and arm stumps, which are often requested by clients that want more contemporary styled chairs. Every chair-maker should develop their own style, remembering to make a tapered tenon beginning 2 ½” from the upper end of the leg. 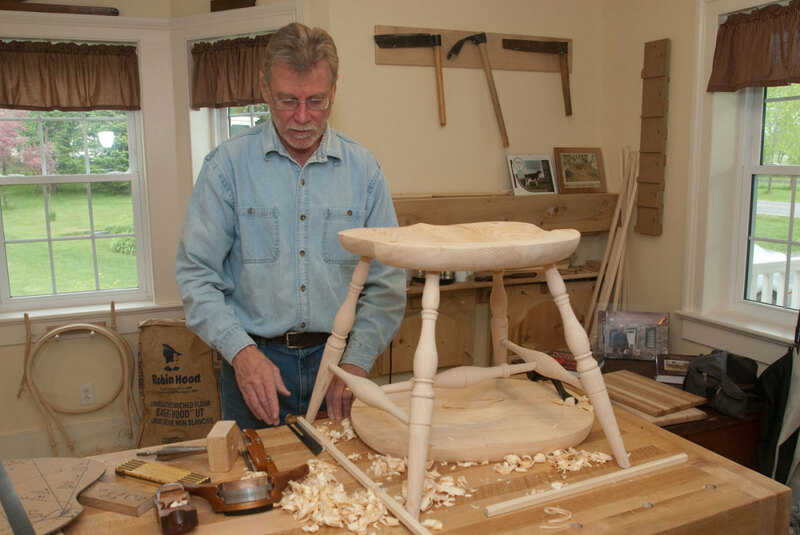 The spindles, arms and bows of Windsor chairs are shaped by hand with a draw-knife and spoke-shave or hand plane, which maintains a continuous grain that does not run out, even at a diameter of only 3/8” at the top of a spindle. The continuous arm chair is bent in the shape of an arch or bow, and then it is bent again at the “elbow” to form the arm rests. To achieve this, the bow and arm is heated using steam and then bent and shaped on a bending form. Once cool and dry, the bow is taken off the bending form, and a cornering tool is used to round over the edge. Following this, a beading tool is used to carve beads on each side of the front of the bow. Although there is some debate, seat blanks should be made from two 2” x 10” blanks planed on their edge, glued and clamped overnight. The seat blank is then planed using a jack plane so that the top and bottom are smooth. The seat of a continuous arm chair is shaped like a shield. 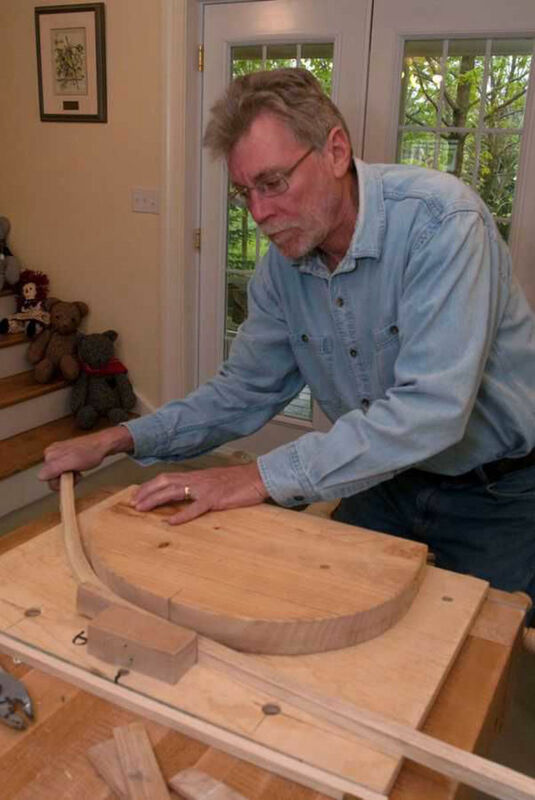 The seat pattern is drawn out on the seat blank, which is then carved using a gutter adze, a scorp, compass plane and travisher—the latter of which is essentially a curved, low-angle spokeshave. The seat is sculpted deeply to a depth of 1” to fit the natural body contours. Pine or poplar is used most often, which keeps the weight of the chair to a minimum. 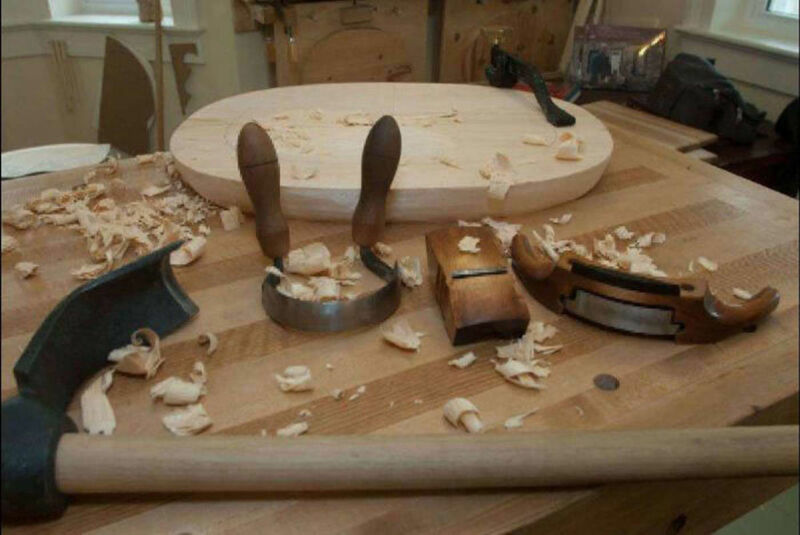 From left to right, adze, scorp, compass plane & travisher used to carve seat. Photo by R. Galbraith. The undercarriage of a Windsor chair consists of the legs and the stretchers that brace the legs in the shape of an H. When one looks at a chair from the front, the angle that the legs are set towards the outside is called the splay. 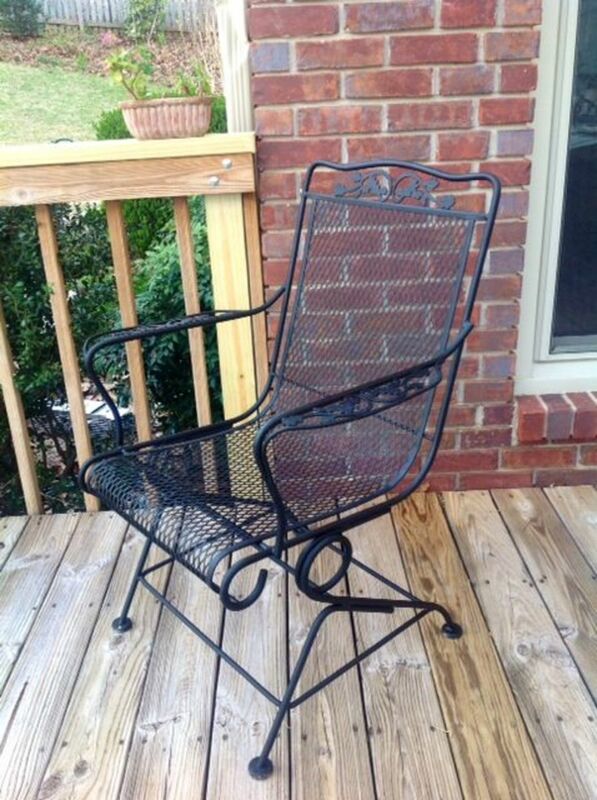 The angle at which the legs point forward or backward when the chair is viewed from the side is called the rake. Holes are drilled in the chair seat from the top, which are angled out at the appropriate rake and splay. A tapered reamer is then used to create the tapered mortise that fit the leg tenons precisely. Windsor chairs are held together mechanically as well as with glue. The side stretchers brace the front and back legs from front to back. A middle or cross stretcher braces the two side stretchers. Holes are drilled in the chair legs and side stretchers at the appropriate angles, which are established using bevel gauges as the chair is being constructed. The stretchers are made between 1/8” and 1/4" longer than the distance between the legs or side stretchers plus the depth of the mortises, which actually push the legs apart. Tapered mortises allow the undercarriage to be assembled with the extra long stretchers, which when hammered home lock the legs and stretchers under tension. Finally, glued wedges are driven into the end of the leg tenons, flaring them tightly in the papered seat mortises. These “mechanical bonds” are why the legs and stretchers of a handmade Windsor chair almost never come apart. The arm posts or stumps also pass through the seat using tapered mortises and tenons, which are glued and wedged in place. Holes are drilled through the chair arm and tapered so that the arm can be snugly fit by pressure onto the arm stumps. Following this, 3/8” holes are then drilled through the bow so that the spindles can pass through them. A bit extension passing through the bow and a 9/16” bit are used to drill the spindle mortises in the seat. The spindle tenons are made slightly oversized and notched so that they can be glued and hammered permanently into the seat mortises. The spindles are fit through the holes drilled in the bow to which glue has been applied, and the lower spindle ends are hammered into their seat mortises. Finally, all the spindles and the bow are glued and wedged. The excess wedges and tenon ends are then trimmed flush with the surface and the chair prepared for finishing. 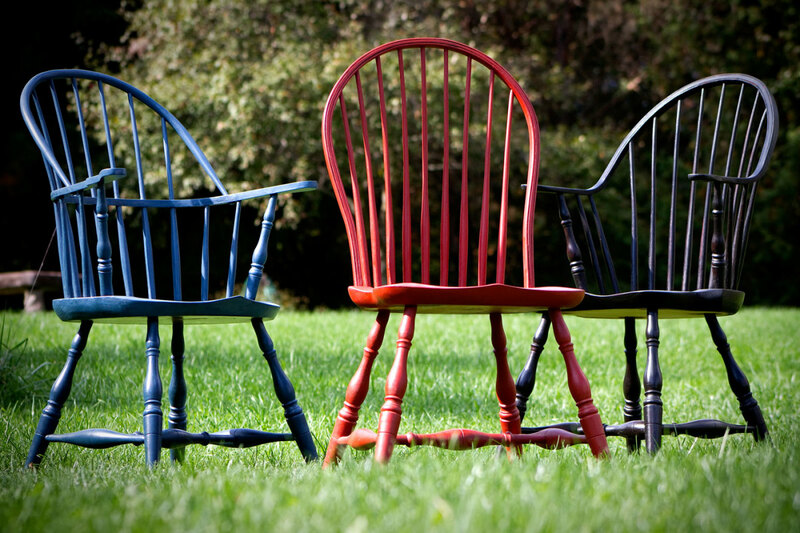 This procedure explains in some detail why handmade Windsor chairs almost never come apart. Drilling 3/8" holes in the bow to accept the spindles. The final steps involve scraping and sanding all the parts of the chair. Prior to sanding, the chair is sprayed lightly with water to raise the wood grain, and then it is sanded starting with 80 and finishing with 180 grit sandpaper. Two coats of milk paint can then be applied by brush, followed by a natural oil sealant, which is applied with a cloth, allowed to soak in for 5 minutes and then wiped off. 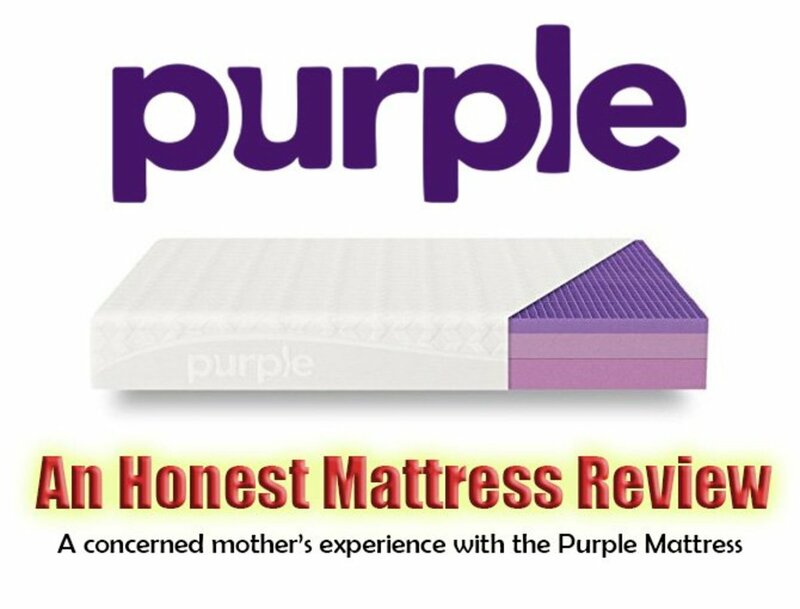 This process is repeated every 24 hours until the desired sheen is achieved. Completed continuous arm Windsor chair. 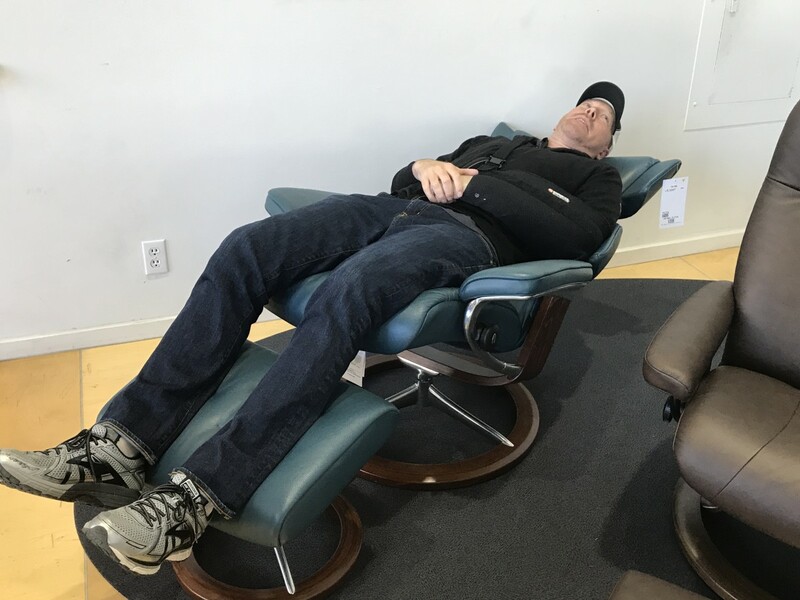 With the advent of industrial manufacturing of chairs, many of these techniques were lost. The tapered mortise and tenon was replaced by a round mortise and tenon or dowel, which meant that the leg stretchers could no longer be placed under tension. This is why so many chairs seem to come “unglued” and have to be repaired. Splitting or riving of back components was replaced by the cutting out of parts on the table saw. The spindles of the back were either turned or replaced by flattened components that are not flexible and have to be heavier than that of a handmade Windsor chair.